All homes currently listed for sale in the zip code 78204 as of 04/24/2019 are shown below. You can change the search criteria at any time by pressing the 'Change Search' button below. 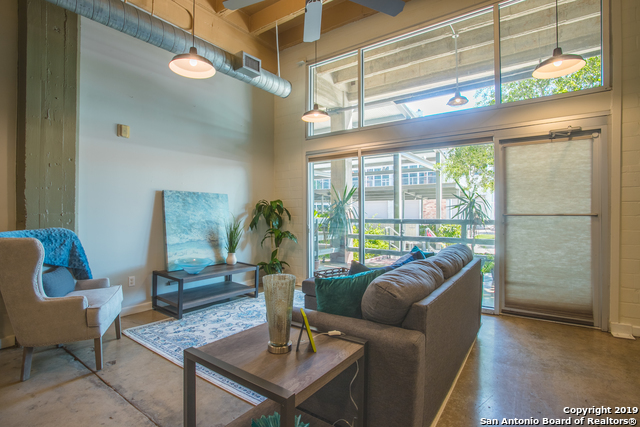 "Penthouse Style on the first floor overlooking the San Antonio Riverwalk - Luxury High rise living downtown near the historic King William area. Luxury amenities - 24hr security, rooftop pool, outdoor kitchen, 24hr exercise room & entertainment room with river walk access. 3 balconies and nearly 3000 sqft of living space contiguous to the club terrace offer extraordinary living and entertaining lifestyles. Includes large storage unit and 2 first floor parking spaces." 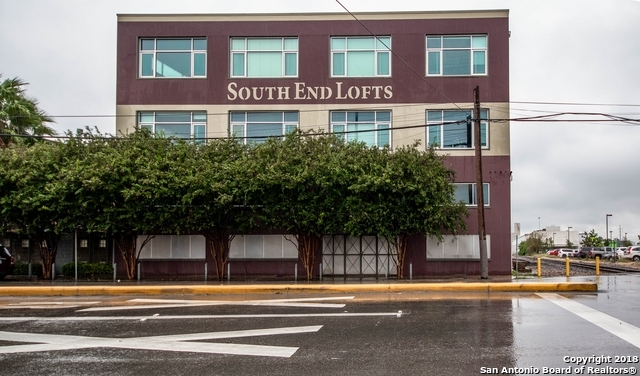 "Brand New Luxury Residences in the Lone Star Neighborhood of Southtown. Walking distance to the Riverwalk, Restaurants, Art Galleries & Coffee Shops. Live the urban lifestyle without the compromise of older, smaller homes. Open Concept, Marble Island Kitchen, European Style Cabinetry, Walk-in Closets, 2 Car Garage, High Ceilings, Foam Insulation, Premium Fixtures & Lighting, Stone & Wood Flooring, Large Windows, Elevator Option available. 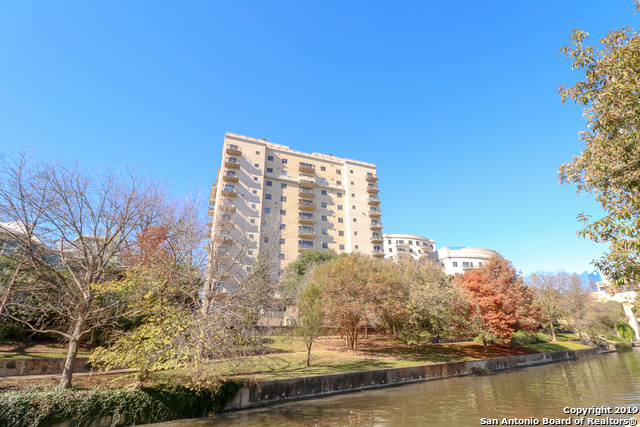 Gated Neighborhood on the best residential street of L"
"High-Rise Condo complete with rooftop deck featuring a full outdoor kitchen and infinity pool overlooking the Riverwalk. Located between the Tower of the Americas and historic King William district. This property boasts exotic marble floors, subzero fridge, custom closets, cabinetry and doors. 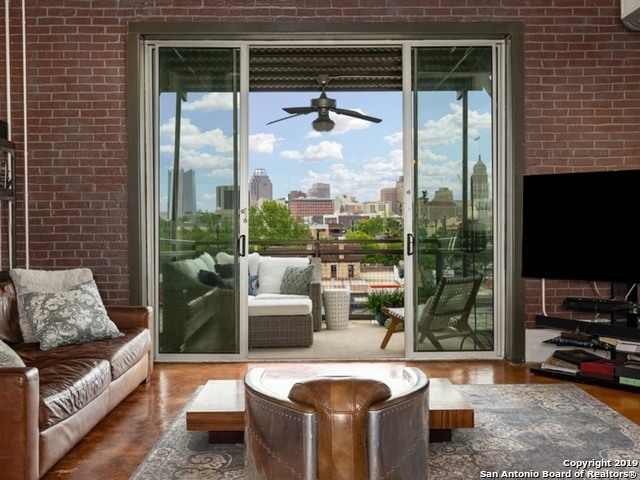 Luxury Amenities include 2 private balconies, 24hr Controlled Access, Rooftop pool & kitchen, exercise room, and entertainment room with riverwalk access." 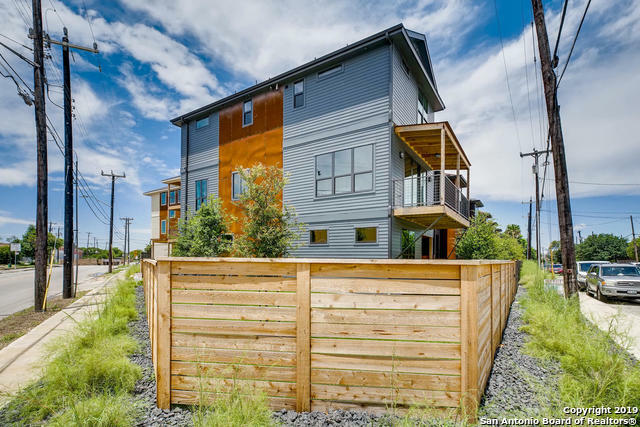 "Brand New Luxury Residences in the Lone Star Neighborhood of Southtown. 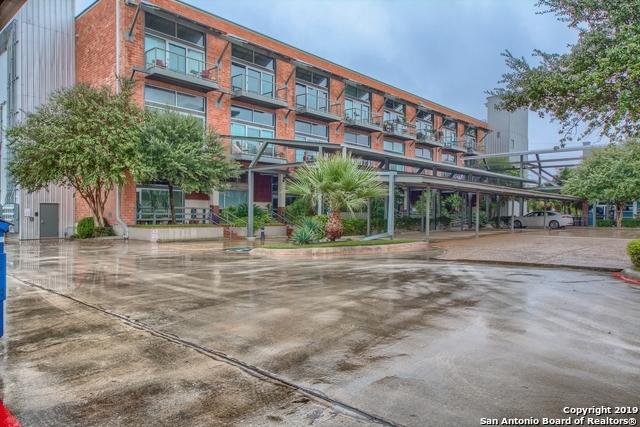 Walking distance to the Riverwalk, Restaurants, Art Galleries & Coffee Shops. 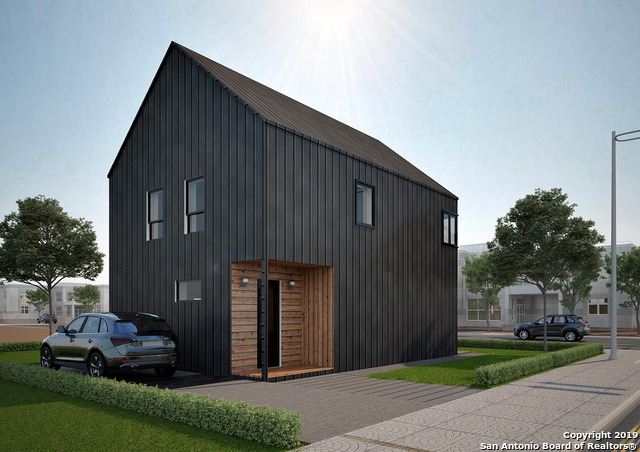 Live the urban lifestyle without the compromise of older, smaller homes. Open Concept, Marble Island Kitchen, Walk-in Closets, 2 Car Garage, High Ceilings, Foam Insulation, Premium Fixtures & Lighting, Natural Stone & Wood Flooring, Balcony on 2nd & 3rd Level. Option Rooftop Terrace. Gated Neighborhood on the best residential street of Lone Star"
"This lovely unit is priced to SELL! 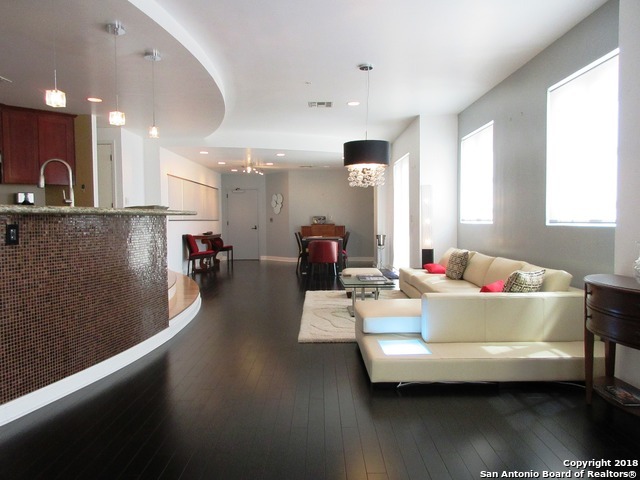 Spacious 4th floor condo with incredible views of downtown and the San Antonio River. The kitchen offers gas cooking w/great granite countertops. One balcony off the living room and another in the Master Bedroom. Bonus storage unit, washer & dryer convey with sale. 2 car parking in the covered garage are located just outside the parking entrance on the 4th floor. Talk about convenience! Additional amenities: Party Room, Fitness Center, Rooftop pool w/spa & gri"
"URBAN LOFT LIVING AT ITS BEST IN SOUTH TOWN.BE A PART OF A LIFESTYLE!CUSTOM DETAILS THROUGHOUT.OPEN FLOOR PLAN W/LARGE LIVING SPACE THAT OPENS TO KITCHEN AND DINING AREA.GREAT FOR ENTERTAINING.KITCHEN FEATURES GAS COOKING W/LARGE STAINLESS STEEL VENT,DOUBLE OVENS,GRANITE COUNTERTOPS,LARGE WALK IN PANTRY.HIGH CEILINGS,MODERN LIGHTING AND STAIN CONCRETE FLOORS.MASTER SUITE W/GRAND BATHROOM THAT FEATURES PEBBLE FLOORS,GLASS BOWL SINKS,CUSTOM CLOSET.ACCESS PRIVATE ROOFTOP PATIO THRU CUSTOM RAILROAD "
"New development in Southtown - SOUTH END URBAN. Spacious 3 bedroom, 3.5 bath. Wood flooring on main floor and in all bedrooms. SS GAS range dishwasher and micro, quartz counters & large island. Extra large master bedroom with en suite bath. Separate utility room w/ room for side by side and plumbed for sink. Attached 2-car garage. Yard with sprinkler system. Corner lot. Prime location - near Blue Star Arts, around the corner from Fruteria, Il Forno and close to Mission Reach portion of Riverwa"
"Stunning! STUNNING! 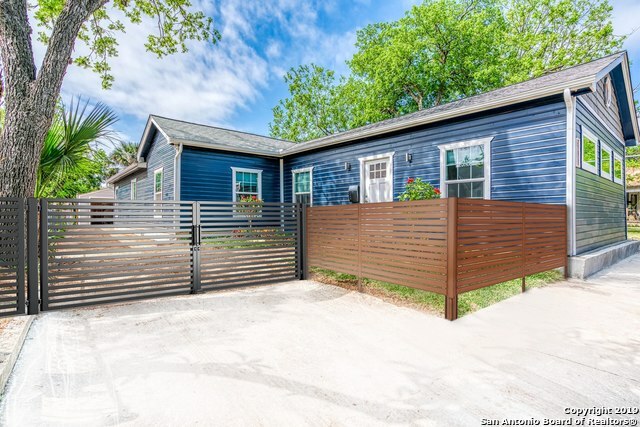 Renovated home in the Lone Star Arts District! Welcome Home! This stunning 3 bedroom 2 bathroom home is just what you are looking for. With great curb appeal and an amazing patio that leads to a 1 bedroom 1 bathroom casita or income producing property! This home was made to be shown off and enjoyed. After you are done showing it off, the stunning master suite is perfect to relax in, with the dual his and hers closet and an incredible shower that you will fall in love with! T"
"Own a piece of the historic Peden Iron & Steel building in San Antonio's revitalized Southtown corridor. Steel House Art collection throughout the building. 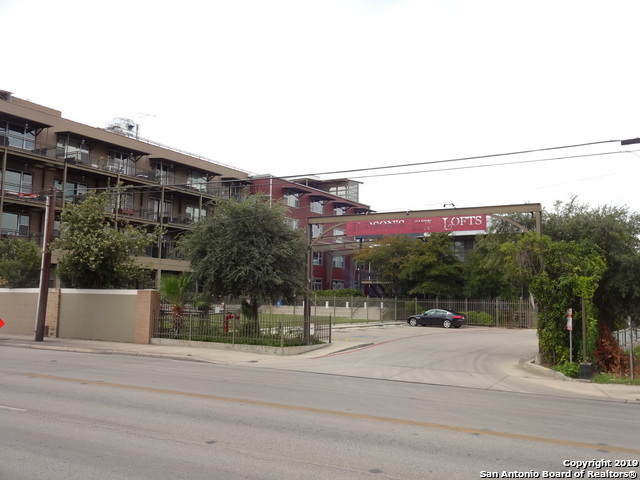 This two bedroom two bath condo has exposed original concrete columns. Kitchen and baths feature a contemporary look with granite countertops & stainless steel appliances. 14' ceilings, concrete floors, master with walk-in closet and nice sitting area outside, 24 hr. gym, pool, smart home features, 2 covered parking places. Restaurant in bui"
"Rare find!! 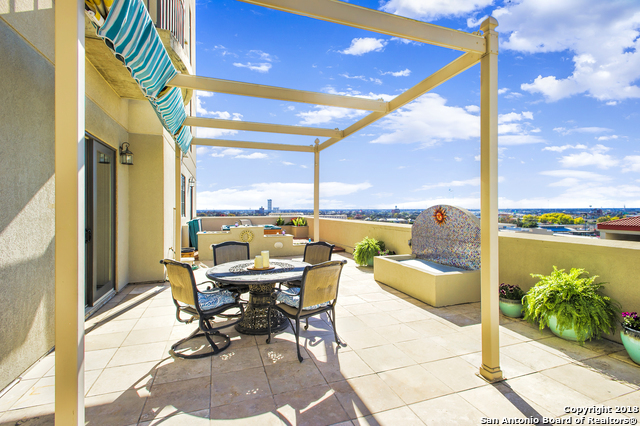 Two units combined to make this beautiful top floor two bedroom, two bathroom condo with outstanding views of downtown. 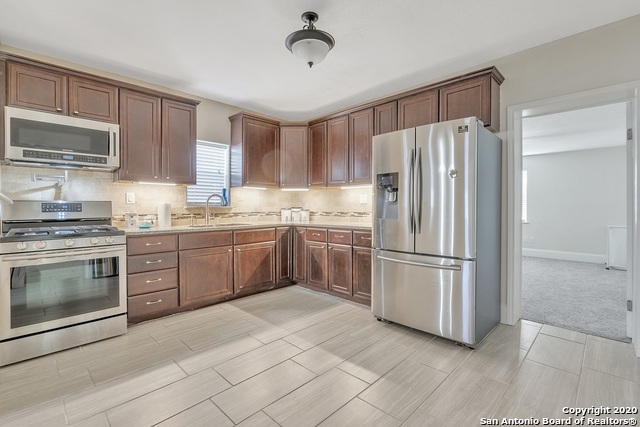 Includes stained concrete floors, granite counter tops in kitchen & both baths, stainless appliances, two covered parking spaces, two storage units, doggie park, gym, Short walk to the Riverwalk, Blue Star, HEB SoFlo Market, many fantastic restaurants, hotspots and so much more! New San Pedro river walk expansion coming soon!" "South End Urban is a new 15 home community. Ready for move in. Hip/cool Southtown location. 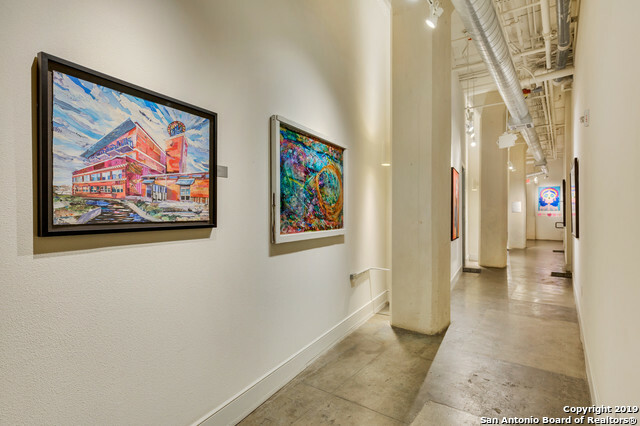 Walk to new Linda Pace art museum, River Walk, San Pedro creek and outstanding new restaurants. 3 BR, 2.5 bath. Master suite with TWO closets. Separate laundry room. Large balcony. Two car garage. Brand new with 10 year structural warranty. Photos are representational." 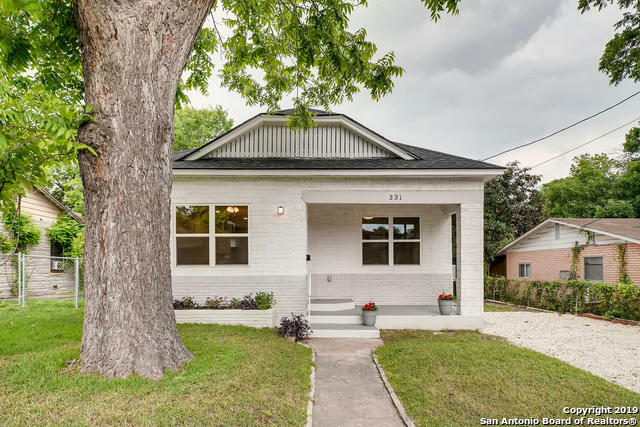 "*WILL BE COMPLETED IN 3 WEEKS* Meticulously renovated home in high-energy Lone Star Arts District. Welcome home to an open floorplan with tall ceilings & an abundance of natural light. Fully updated inside out while keeping many original charming details. 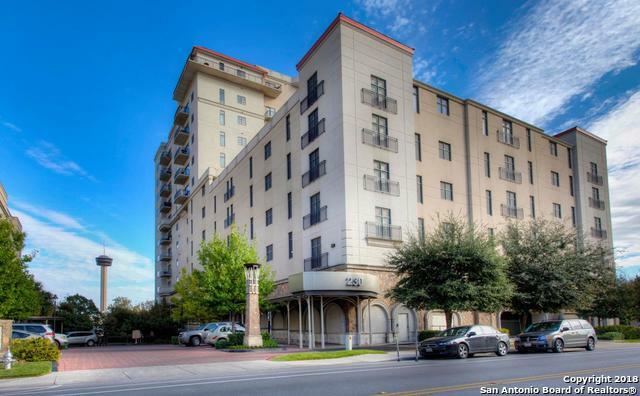 PRIME LOCATION: Within walking distance to restaurants, shopping and more that Downtown SA has to offer. Don't miss out!" "MUST SEE THIS SLEEK FULLY FURNISHED CONDO AT JUDSON CANDY FACTORY IN DOWNTOWN SAN ANTONIO.OPEN FLOOR PLAN,HIGH CEILINGS,ORIGINAL CONCRETE FEATURES AND CUSTOM LIGHTING.KITCHEN FEATURES A CUSTOM LIVE EDGE ISLAND,STAINLESS STEEL APPLIANCES,GRANITE & LOTS OF STORAGE.BEDROOM HAS LARGE WINDOWS,CUSTOM CLOSET,BEAUTIFUL WALLPAPER DESIGN AND ARCHITECTURAL FAN.LARGE PRIVATE PATIO W/BREATHTAKING VIEWS OF DOWNTOWN.HIGH END LUXURY FURNISHINGS & DECORATIVE ART.2 PARKING SPACES,STORAGE UNIT(20x7),FITNESS CENTER"
"Loads of upgrades in this Southtown gem! 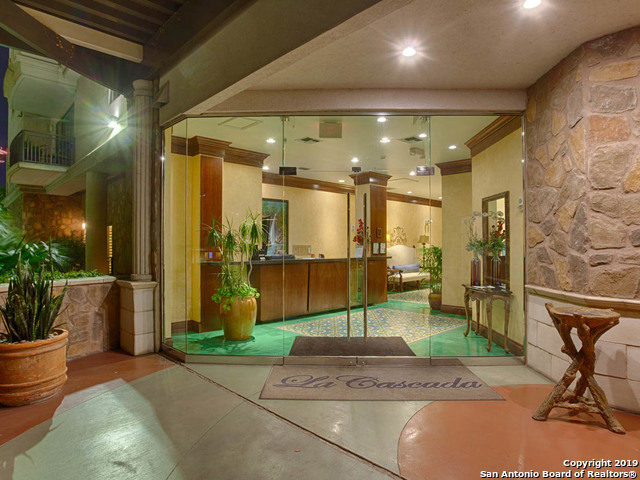 Community is walking distance to the San Antonio Riverwalk and loads of restaurants, bars and points of interest. The backyard is perfect for your morning coffee or evening glass of wine. Two covered parking spaces right in front of home, golden for this area! Solar panels! 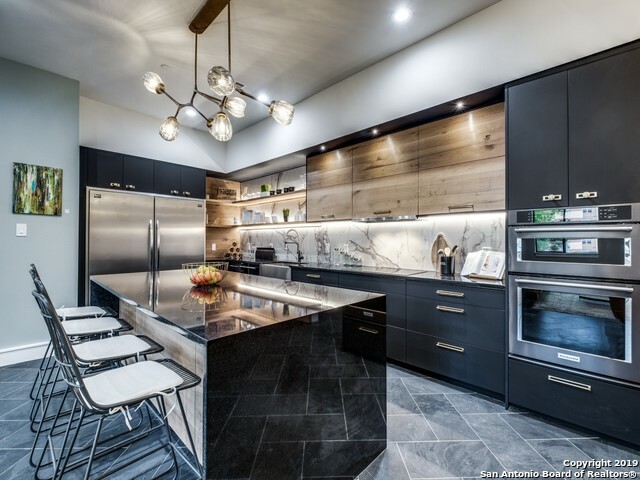 Huge kitchen with custom walnut shelves, Hunter Douglas roller shades, kitchen hood and tile, new shower and barn door in master, water softener, high ceilings, dual air control." "LOCATION, LOCATION, LOCATION. Just steps away from Blue Star, King Williams, HEB Market, Southtown and Mission Reach Trail. Updated open floor plan single story home 3 bedrooms, office, 1.5 bath & 1,00sqft patio with additional pavilion. Remodeled kitchen: granite counters, cabinets, Gas stove w/ pot filler over stove. See it today!" 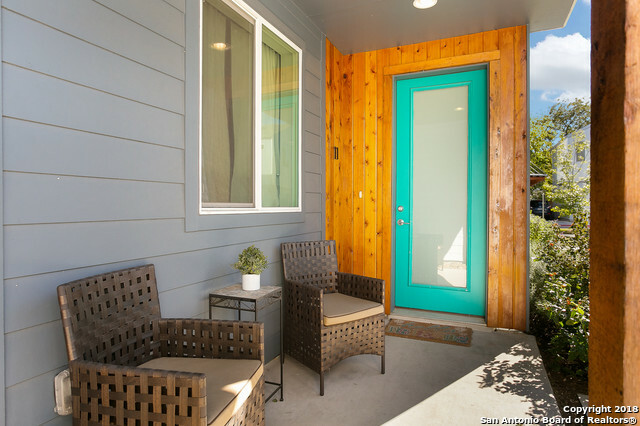 "Come home to this Historic Remodel in one of the hottest areas in town. Prior convenience store turned chic downtown living. Walk to SoFlo, Bluestar, Riverwalk and more! Room for bikes and Kayaks in your private garage. Hidden outdoor entertaining, remastered mural, custom cabinets, stainless appliances, high-end doors/hardware, massive great room with ductless vents and wood plank ceiling, office or fourth bedroom, walk-in master closet, electric toilet. 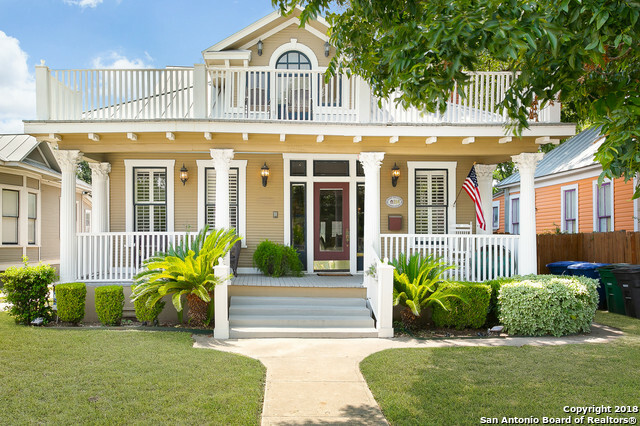 Eclectic finish out makes this home one-"
"Over 160' of San Antonio River/San Pedro Creek frontage at the confluence! Walk out the backyard to kayak, jog, bike, fish, steps from Confluence Park, Mission Concepcion, The Mission Trail and so much more! The home has a metal roof, energy efficient mini-splits, soaring ceilings, open living & kitchen and fantastic views! A rare opportunity to live & play on the Mission Reach. The lot is .21 of an acre & zoned R-5, so many opportunities to add on, develop, Airbnb. Outdoor lover's dream in cent"
"BE A PART OF A LIFESTYLE AT SOUTH END LOFTS IN SOUTH TOWN.URBAN LOFT LIVING AT ITS BEST!OPEN FLOOR PLAN W/14 FT CEILINGS AND STAINED CONCRETE THROUGHOUT,NATURAL LIGHT AND DECORATIVE COLORS.GREAT SPACE FOR ENTERTAINING.KITCHEN FEATURES AN ISLAND,GRANITE COUNTERTOPS AND STAINLESS STEEL APPLIANCES.PRIVATE MASTER SUITE OFFERS SITTING AREA,LARGE WALK-IN CLOSET AND ADDITIONAL STORAGE IN LOFT.GRAND MASTER BATHROOM WITH TRAVERTINE,SHOWER,JACUZZI TUB AND WALK-IN LINEN CLOSET.FITNESS CENTER,DOG PARK AND R"
"Desired location near the HOT South Town and S-Flores areas and close to developing San Pedro Creek Trail. Minutes to Blue Star, King Williams, Downtown, Mission Reach and Lone Star Development. EZ access to Mission bike trails and San Antonio River! Quality re-do of this turn of the century home. Orig. wood floors. Open living. Bdrms have walk in closets. Designer granite in kitchen with upgraded stainless steel appliances. Central heat/air. Come see this beauty!" 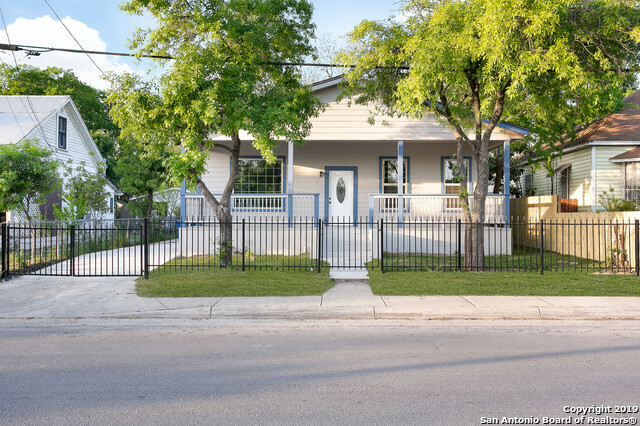 "Perfect location in the amazing and popular Southtown! Close to everything. Beautiful open floor plan, white cabinets, gas cooking, stainless steel appliances and more! This home even has it's own private yard. Schedule your showing today to see what this community and area has to offer!" 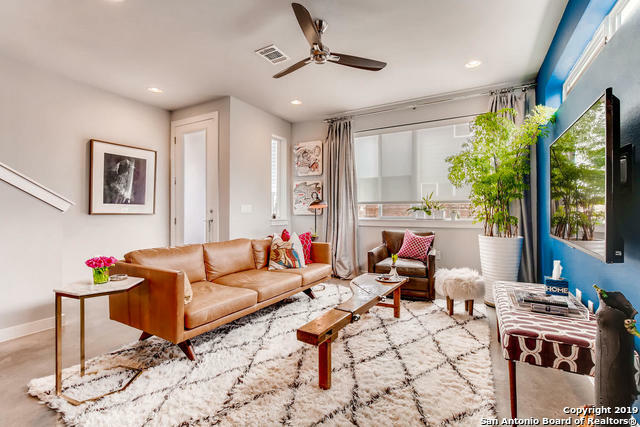 "Immerse yourself in history deep in the heart of San Antonio when you reside at 1331 S. Flores #101. Just minutes from access to downtown amenities, entertainment and connections, this exclusive location will make your new home the hub for your lifestyle. This urban residence is a corner unit entirely on the ground floor - a feature commonly overlooked. The benefits of living in this community are as flexible as your imagination; including a pool, outdoor BBQ area, fitness center, dog run and ro"